A broken heart University going boy comes to the sea for drowning himself. From the feeling alienated from the friendship, isolated from the family, hardness from the surroundings- all the things make his days & night unbearable. He has lost the meaning & purpose of life. This brings him here, into the sea. Before going down into the water, he wishes for listening to a song `Looking for a space’ by John Denver. Listening to the song for once couldn’t fill up his thirst. Through listening to the song again & again, the boy falls into a spiritual journey. The words of the song throw the boy into his inner. He meets here the golden & dark all of his memories. He feels them all as treasure. Even those memories drive himself to the darkness has turned into the light of experiences. He understands that the sorrow & happiness both are the color of life that brings lives to life. The understanding of experiences gives the boy reasons & beauty to belong to life. He changes his decision about his suicidal steps. He stares at the sea in a deep glance & hears the sound of the seas & senses John Denver in his heart as a savior. Then the time: 11.00 GMT, 12th October, 1997. 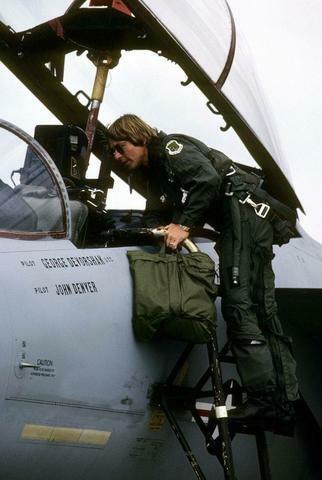 Surprisingly at the same moment, when the boy is being saved by John Denver’s song, in a faraway John Denver himself starts his last fly on his own airplane that took him to the sea of death. His plane crashes into the Monterey Bay near Pacific Grove, California. Time: 11.00 GMT, 12th October, 1997.